That’s the only comprehensible, slightly awed praise, that my brain can offer up upon departing Nottingham’s Theatre Royal after the opening night performance of Hairspray The Musical. And honestly, that doesn’t do it nearly enough justice. Based on the 1988 John Waters film of the same name, Hairspray is a show that’s fun, fresh and feel-good in a way that’s completely unique. Set in 1962, it’s the story of Tracy Turnblad, (played tonight by Rosie O’Hare) a big girl with big hair and an even bigger heart who sets out to follow her dreams. Originally determined to win the affections of teen heartthrob, Link (Edward Chitticks), Tracy dances her way into a coveted spot on Baltimore’s prime time TV show, The Nicest Kids in Town. Her initial journey for stardom is shaped by the friends (and enemies) she makes along the way, and soon becomes a quest for equality in the hostile and racially segregated backdrop of 1960s America. 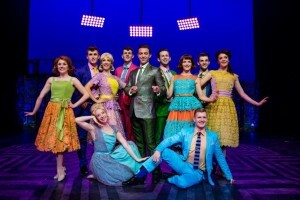 This version of the musical comedy, directed by Paul Kerryson, is currently touring the UK to a string of rave reviews. It’s easy to see why. 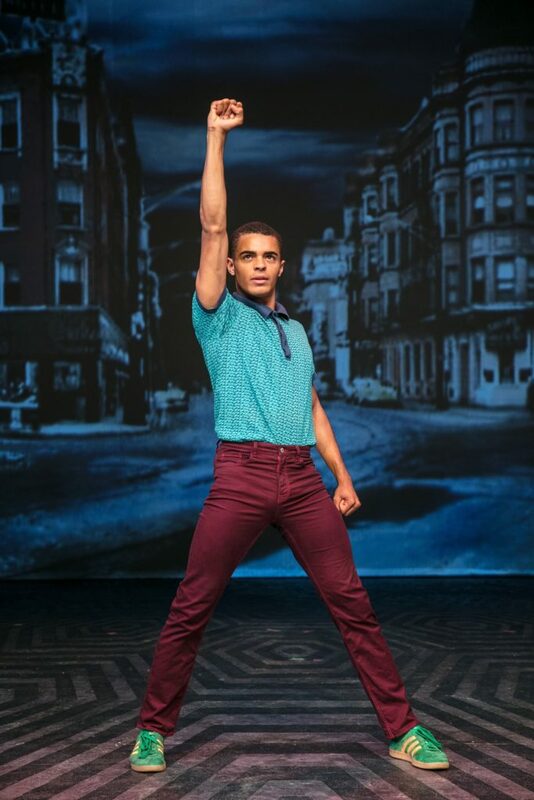 There’s everything you could ever want from a musical; catchy toe-tapping tunes, beautifully choreographed dancing and enough glitter and sequins to make RuPaul green with envy. But what truly makes Hairspray a dazzling show is the cast. Velma Von Tussle (Gina Murray) is perfectly deplorable as the bigoted TV show producer determined to foil Tracy and her friends. Along with her equally odious daughter, Amber (Aimee Moore), they are the villains we love to hate. Tracy’s parents Edna and Wilbur (Matt Rixon and Norman Pace respectively) are hilarious – almost stealing the show and proving that accidentally breaking character isn’t necessarily a bad thing. 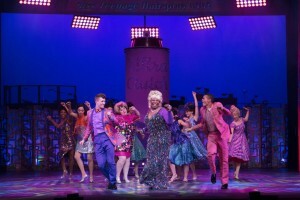 However, the star of the show is Brenda Edwards, giving a standout performance as Motormouth Maybelle. Edward’s phenomenal rendition of “I Know Where I’ve Been” well and truly raised the roof, marking the first time I’ve seen a performance other than the closing number receive a standing ovation. 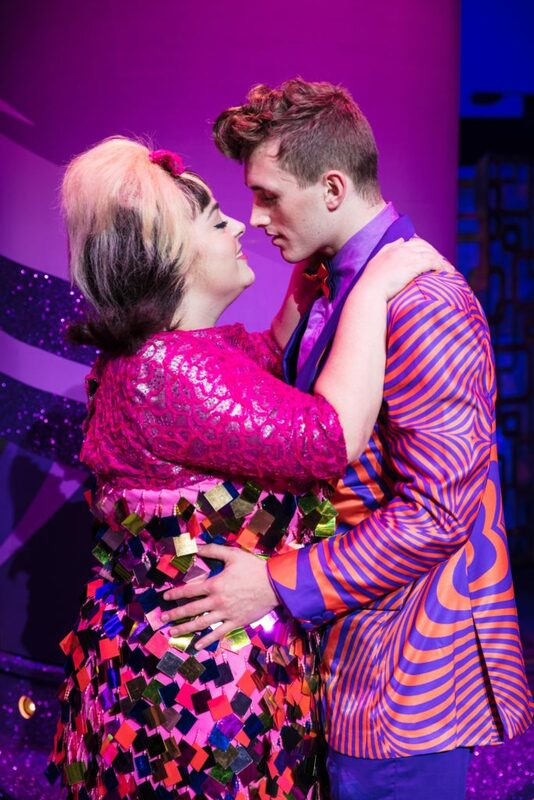 If you like an uplifting storyline, lots of laughs and ever more soul, then Hairspray is the musical for you. With its infectious “embrace and love yourself for who you are” message, it’d be neigh on impossible to leave the theatre without a grin. 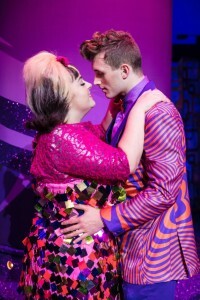 Hairspray is playing at Nottingham’s Theatre Royal February 13th-24th. 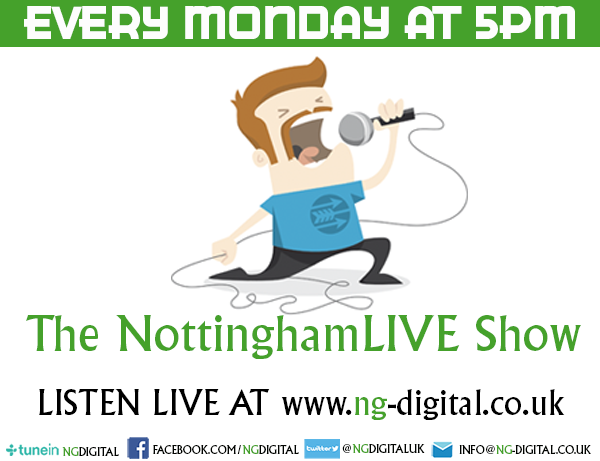 Tickets available from £20 click here to get yours. Editors note: I just couldn’t let a review of this show go up without a mention of the outstanding performance by Layton Williams (from BBC’s Bad Education) who brought to life the character of Seaweed. When I say brought to life, boy did he bring him to life, I have never watched anyone enjoy their role as much as he appeared to, my eyes were drawn to him no matter what the scene. His smooth moves were matched only by his smooth voice, supremely charismatic and absolutely fabulous!